Well, we did it, we completed in the Rolex Fastnet 2017, finishing 144 out of 362 starters, in doing so we were the first comprehensive school to do so. At the prizegiving, on Friday 11th August, we were awarded the Musto Media Prize, in recognition for telling our story as we raced around the rock. Since crossing the finish line, it has been back to business as usual. 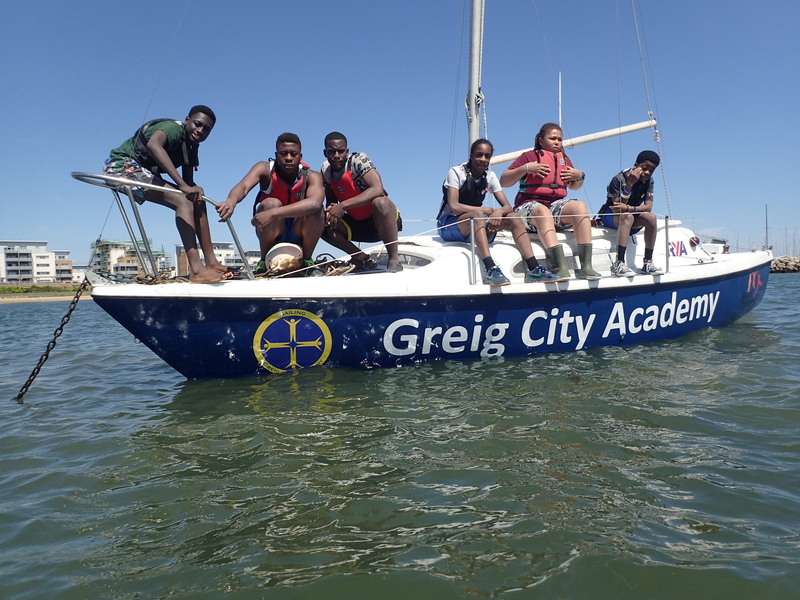 During the school week, we continue to sail at Stoke Newington, practising our dinghy sailing skills as well as training the next crew who we hope will take on the Rolex Fastnet Race in 2019. We want to become known as the school that does the Fastnet Race, not the school that did the race. We continue our programme of Etchells sailing with David Franks in Cowes, and we are also taking out the next generation of sailors on our Intro 22 and Scaramouche at the weekends. In October we were filmed by the RYA for an award we are receiving, more details on that to follow. We were also invited to LandRover BAR base in Portsmouth to meet with the Academy team and look at the opportunities available once we finish at Greig City Academy. We hope to keep you, our supporters updated with posts about what we are up to. In the meantime, to can see more posts and pictures on our social media. You can follow our story: #ProjectScaramouche.